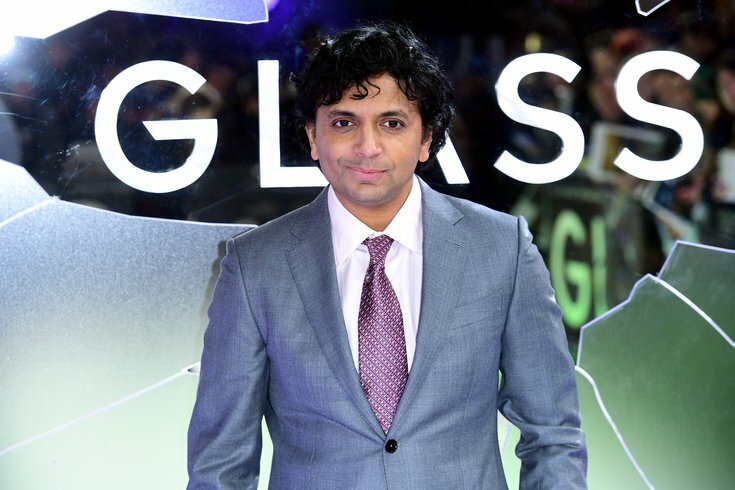 M. Night Shyamalan attending the Glass European Premiere held at the Curzon Mayfair, London. We combed through the list of shows coming to Apple's just-announced new streaming service within the next two years - and, oh my god, is this real life? There are almost two dozen TV series and four feature films in the works, and these star-studded projects are almost intimidating. Reese Witherspoon? Sofia Coppola? Not to mention all the Philly people, such as Leslie Odom Jr., Rob McElhenney, and M. Night Shyamalan. Are we even worthy?! 'Sopranos' prequel to feature Philly's Leslie Odom Jr. Here are some of the highlights coming to Apple’s streaming service within the next two years. The gang gets a show on Apple TV. Creators of "It's Always Sunny in Philadelphia," Charlie Day and Rob McElhenney are the showrunners to a new untitled project, which also stars Danny Pudi ("Community") and Pittsburgh native, F. Murray Abraham. This half-hour show will follow co-workers at a video-game development studio. M. Night Shyamalan is bringing his own brand of psychological thriller to the streaming service. The "Unititled M. Night Shyamalan Project" was created by "24" writer Tony Basgallop. Shyamalan is executive producing and will direct the first episode. It will star Lauren Ambrose, Nell Tiger, and Rupert Grint. The official details have not been announced, but Deadline reports the plot follows parents, Dorothy (Ambrose) and Sean Turner, who have recently hired a nanny to care for their newborn. Reportedly, Grint will play Dorothy’s younger brother. Philly’s Leslie Odom Jr. will star alongside Kristen Bell and Stanley Tucci in "Central Park,” which will be an animated musical with showrunners of "Bob's Burgers," Loren Bouchard and Nora Smith. Josh Gad will also produce and write the series with Bouchard and Smith. The streaming service will also bring a new Sofia Coppola movie to the masses. "On the Rocks" stars Bill Murray and Rashida Jones. An all-star cast of Jennifer Aniston, Reese Witherspoon, Steve Carell, and Billy Crudup will be part of a new untitled show, based off of Brian Stelter's "Top of the Morning." J.J. Abrams will act as showrunner to the new drama starring Jennifer Garner, "My Glory Was I Had Such Friends." Read more Entertainment Streaming Philadelphia Apple M. Night Shyamalan Rob McElhenney Leslie Odom Jr.